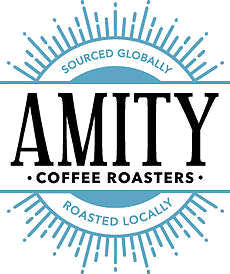 "I was excited to see Amity Coffee put quality coffee on the map in my hometown of Greenwood. I am not through Greenwood often, but when I am, I will make time for a stop at Amity." "The coffee was really good, and roasted in-house. The roaster gave our group a great introduction to how roasting works (and they even built their own custom roaster). The shop is located inside an antique store so don't miss out on browsing the various booths of uncycled and antique stuff." "This is such a quaint little coffee shop, complete with a gallery of rustic things inside a building full of history in the cute little town of Greenwood. Coffee is roasted in house, and is top-notch quality. My favorite to buy, even to take home and grind for your everyday brew. Perfect for gift giving as well. A treasure in this cute little town."